Home ownership among 25 to 34-year-olds fell to just 27% last year. Owning a home is more important to young adults than establishing a successful career or even finding the right partner, says recent research. Yet the chances of being able to achieve that goal have never been lower. According to the Institute for Fiscal Studies, home ownership among 25 to 34-year-olds fell to just 27% in 2017 down from 65% two decades ago. And the findings suggest this generation is heading for further disappointment as a number of factors continue to push home ownership out of reach. Sluggish wages and rising house prices are the two main culprits, not helped by the reality that the average deposit in the UK has almost doubled over the past 10 years, from £17,749 in 2007 to £33,339 in 2017. House prices in Inverness in particular have risen further than in any other part of Scotland, increasing by a huge 259% since 1998. However, being unable afford that first big step on the property ladder is nothing new, as Bill Morrison, 83, from Inverness, recalled. “When I was young, few owned their home as you had to be salaried before banks considered you for a mortgage,” he said. 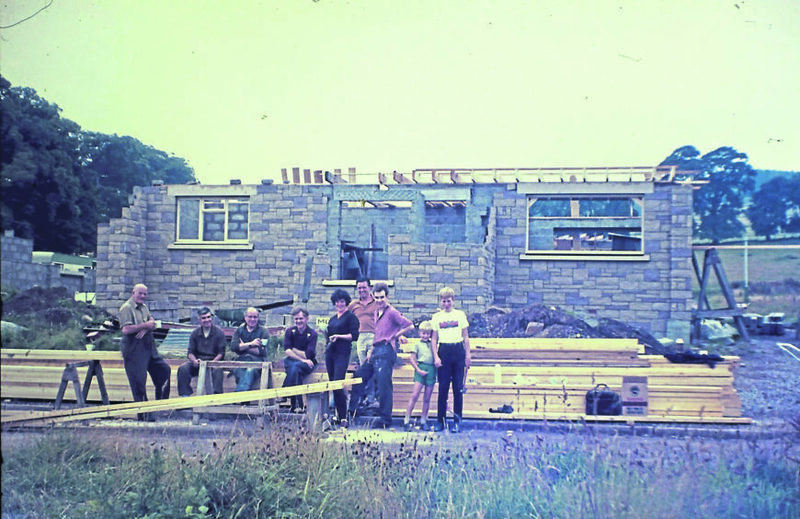 At the start of the 1970s, Bill Morrison spent around two years building his own house in Inverness in his free time, with help from family and friends. In 1956, Bill wed Alice and as a married couple were regarded as “suitable” to be considered for a council house. “Our first home was a terrible house on Blackburn Place in Old Aberdeen, rented from the university. It had no kitchen, no sockets in the bedroom and an outside toilet,” said Alice. “My family home in Fittie had been bombed during the war and we’d been re-housed in a modern prefab. I felt like I was slumming it in Old Aberdeen. Their patience paid off and after a few years they moved into a nice council house in Northfield which Alice described as being “heaven compared to Old Aberdeen”. When Bill’s work with the Department of Agriculture and Fisheries took them to Inverness, they moved into one of the much sought-after, Swedish-style wooden houses on St Valery Avenue. “We liked that house very much as it had three big bedrooms, a large garden front and back and space for a garage,” said Alice. At the start of the 1970s, chance led them to build their own home – a substantial four-bedroom detached house on Blackpark Terrace. “The council were debating how much it would cost to demolish old prefabs on the Blackpark site so a few of us struck a deal which allowed us to demolish and dispose of the prefabs in return for a free plot of land,” said Bill. Bill drew up the plans himself and took around two years to build the house in his free time, with help from family and friends. “Inverness Building Society wouldn’t give us a mortgage for the full amount but loaned us money, bit-by-bit. “In the end it cost about £4,000 to build as I provided the labour. The property was sold in the early 1980s for around £30,000. Building a similar-style house today using traditional methods and hand-made roof trusses would most likely put the property in the £250,000 price bracket. As Bill and Alice had discovered, going it alone was tough on the property market. And things hadn’t changed much 30 years later when Elaine Whyte, now 59, was house hunting for the first time in 1986. “I was 27 when I bought my first property,” said the recently-retired marketing manager. “That was quite old at the time as most people had already left home with a partner. “But because I was single I had to save for longer to do it alone. “It was a two-roomed flat on Union Grove which I bought for £20,000 with a 100% mortgage. “Funnily enough I noticed it’s come back on the market recently for £90,000.” From there she purchased a property on Gairn Road in 1998 for £47,000 before selling it just five years ago at £150,000. On paper it appears to be a recipe for success, but as Elaine explained, the profit never quite made it to her pocket. “I sold at a high price but I also had to buy my next place at a high price,” she said. “So I didn’t make any profit in the end. “I was lucky I sold when I did and wouldn’t have liked to be a first-time buyer in that market. At that time, Aberdeen house prices were comparable only to that of London, but that seems to be changing. Since the 1970s the fortunes of the city’s property market have closely followed that of the oil and gas industry due to the scale of employment the energy sector brings in buoyant times. But over the past four years, house prices in the city have been steadily dropping, with a surplus of properties now on the market. 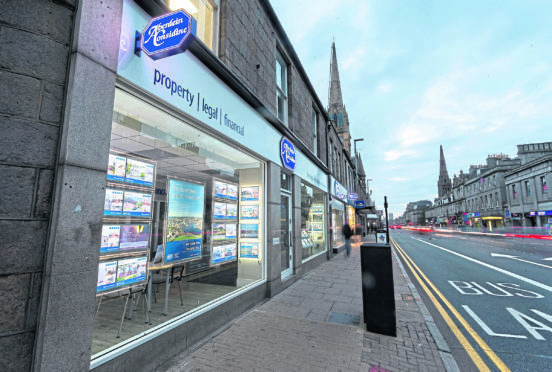 Robert Fraser, a senior property partner at Aberdein Considine, has bought and sold property in the north-east since 1981 and has seen several “oil cycles” in that time. He believes the current market is the best property buyers have experienced in close to 20 years. “Since the oil price crash of 2014, when the Brent Crude benchmark dropped to under $30, the average transaction value in the Granite City has fallen considerably,” Robert said. “The average house price this year between January and September was under £180,000, down 15% on the peak four years ago, and this is likely to drop further before year-end,” he said. “At the peak in 2004 there were around 3,000 properties on the market at any given time. But even with more affordable options on the horizon, many young buyers are still priced out of the market. 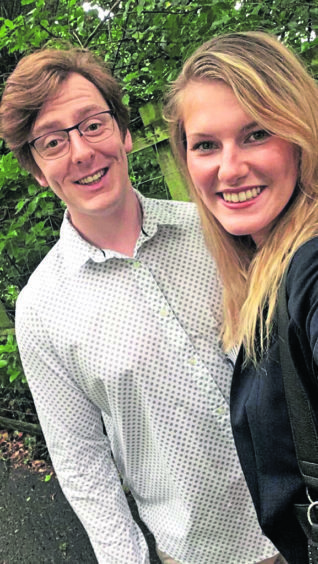 Couple Lauren Kane, 24, and Jack Grant, 27, have been renting together for three years. Their two-bedroom flat in the Ferryhill area of Aberdeen is a manageable £600 a month, but there’s a catch. “We’re getting married next month,” said Lauren, a domestic abuse support worker. “Even though we’re not doing anything extravagant, it’s an expensive business and it’s made saving impossible. Lauren Kane and Jack Grant have decided to move back in with Lauren’s parents in order to save for a house. “So we’ve made a recent decision not to continue with our lease when it ends in March. “Instead, we’re going to move back in with my parents to save for a couple of years. “It’s quite a thought and feels like we’re going backwards, but realistically it’s the only way for us to save. Even if we weren’t getting married I don’t think we’d be even close to the house-buying stage yet. “There are so many things we want to do when we’re still in our 20s like travelling or even try living in a new city. “For me, buying a house isn’t something that you do until you’re well into your 30s. “I’m lucky to have a partner though, I’d still be living at home at 40 if I was doing it alone,” she laughed. But despite the somewhat bleak picture, younger generations haven’t given up hope. The government’s Help To Buy scheme has assisted more than 170,000 first-time buyers since it was launched in 2013, while research by Halifax suggests that two thirds of 25 to 34-year-olds still expect to own a home at some point in their life – even if a few of them are relying on the goodwill of a family member to help them out. For Lauren and Jack however, it’s back to a life of home-cooked meals and tidying their bedroom, which might not be so bad after all come to think about it.